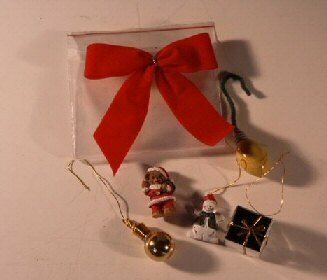 Bag of 6 miniature Xmas ornaments. Great to decorate your bonsai. All aspects of daily care are covered. Learn how to pick a specimen, how to estimate its age and how and when to replace the soil, plus tips on techniques, containers and combating pests. Great book for beginners. Miniature hybrid with showy flowers ranging from light pink to purple and blooming on the new year's growth. Outstanding exfoliating bark, mottled pale grey to brown to pink in color. Widely used as a landscape tree in the southern part of the USA. Deciduous, keep indoors. Likes sunny locations to generate blooms. Fall foliage color is red-orange. This dwarf Juniper from Japan is the most popular evergreen in the U.S.A. When we think of a traditional bonsai and what it should look like, we think of a "Juniper Procumbens Nana." It is very hardy, long-lived and tolerates many adverse conditions. Trained as a Phoenix Graft. This dwarf Juniper from Japan is the most popular evergreen in the U.S. When we think of a traditional bonsai and what it should look like we think of a "Juniper Procumbens Nana". They are very hardy, long-lived and tolerate many adverse conditions. Trained style.